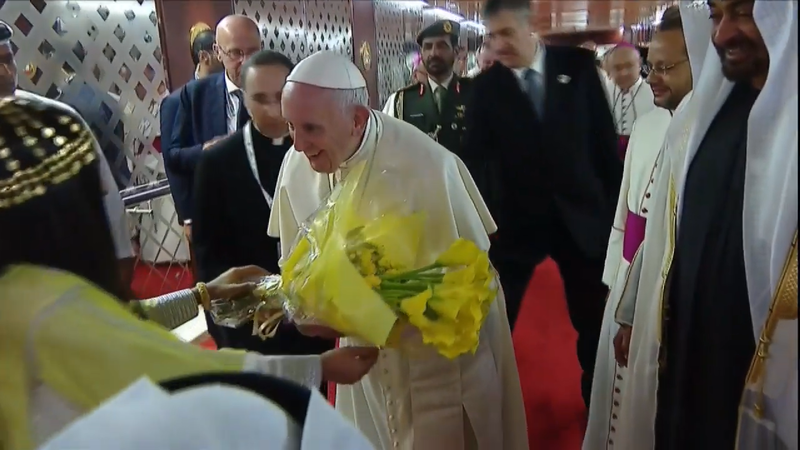 His Holiness Pope Francis has finally arrived in the UAE to begin the Papal Visit following a 9-hour direct plane flight from the Vatican to the UAE. 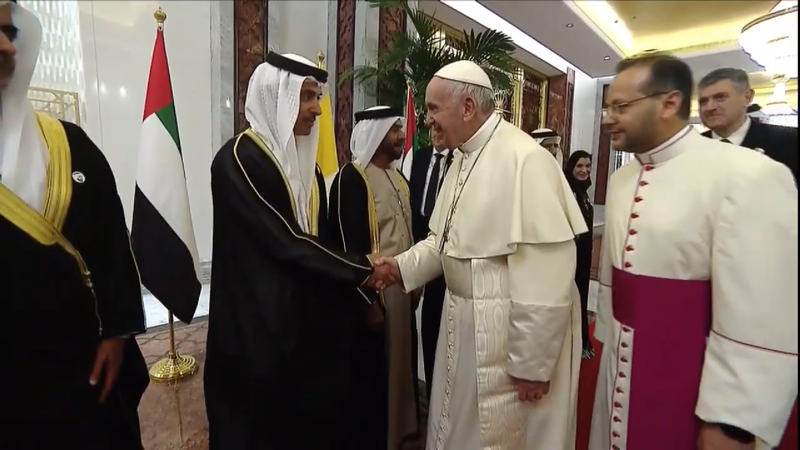 He was welcomed by His Highness Sheikh Mohammed bin Zayed Al Nahyan, Crown Prince of Abu Dhabi and Deputy Supreme Commander of the Armed Forces of the UAE. 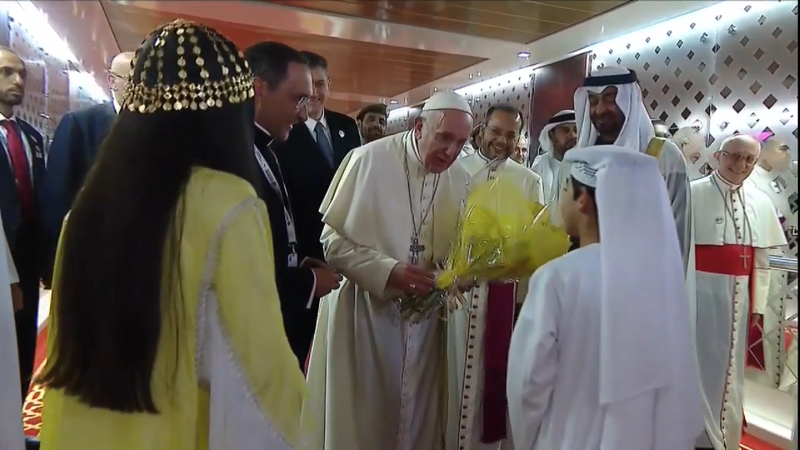 Young Emirati children also welcomed the Pope with a bouquet of flowers and a greeting in native Spanish. 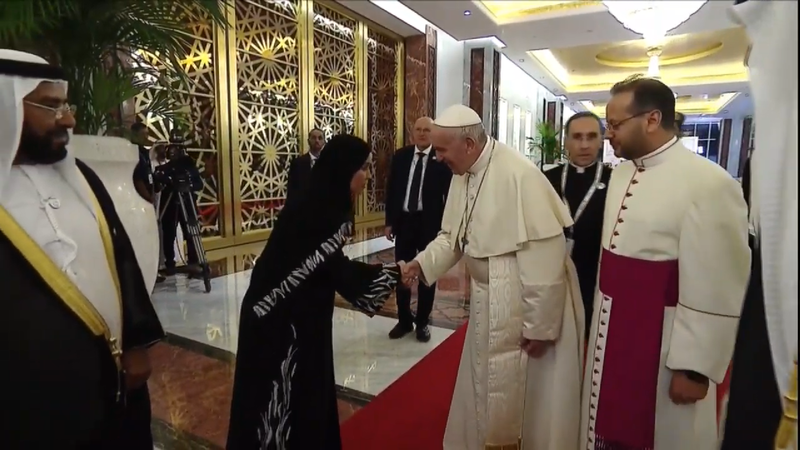 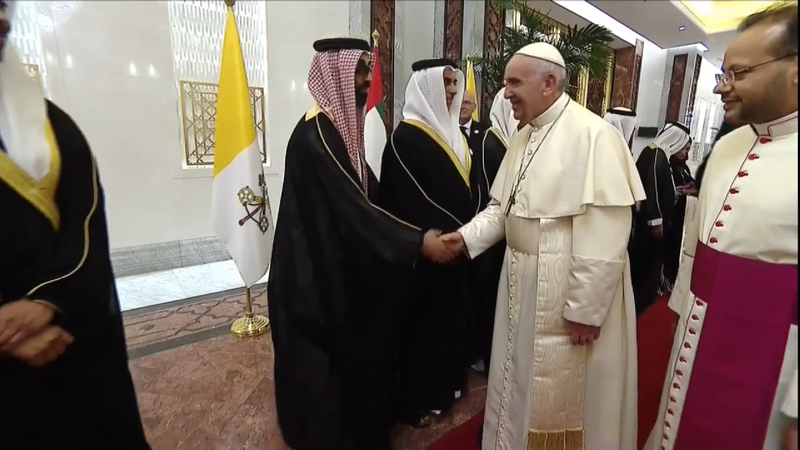 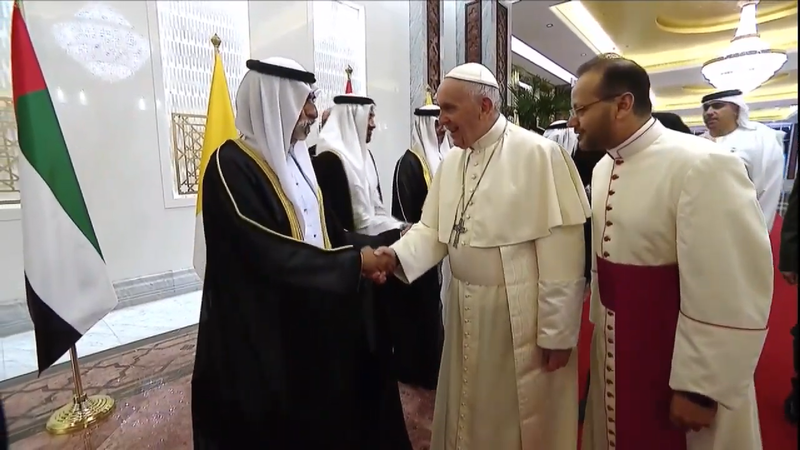 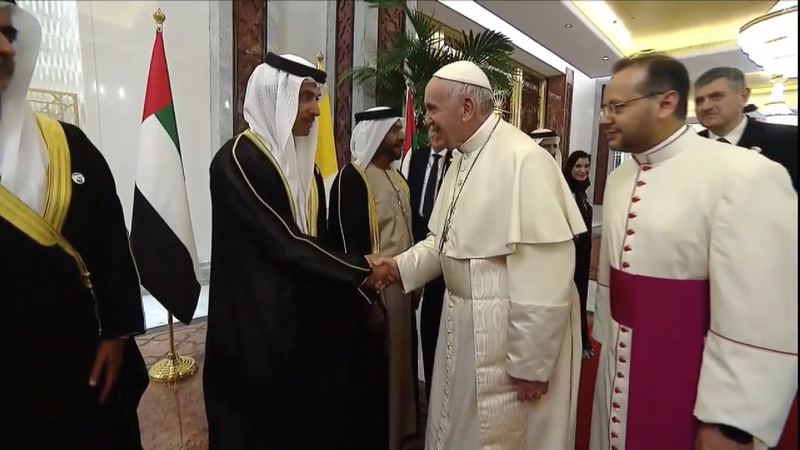 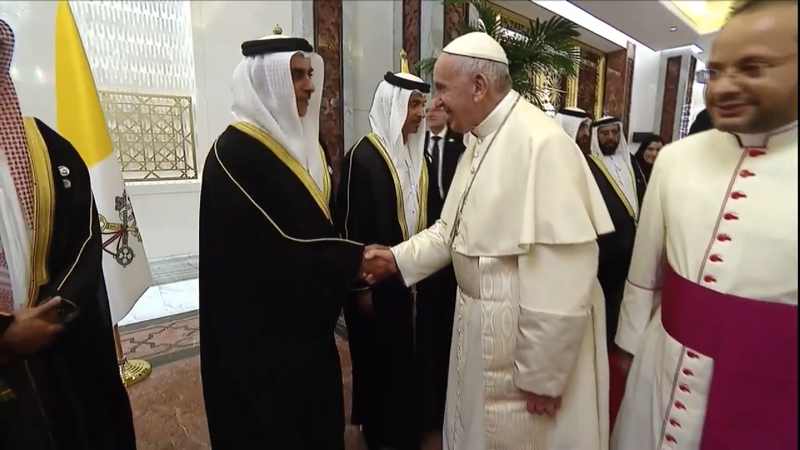 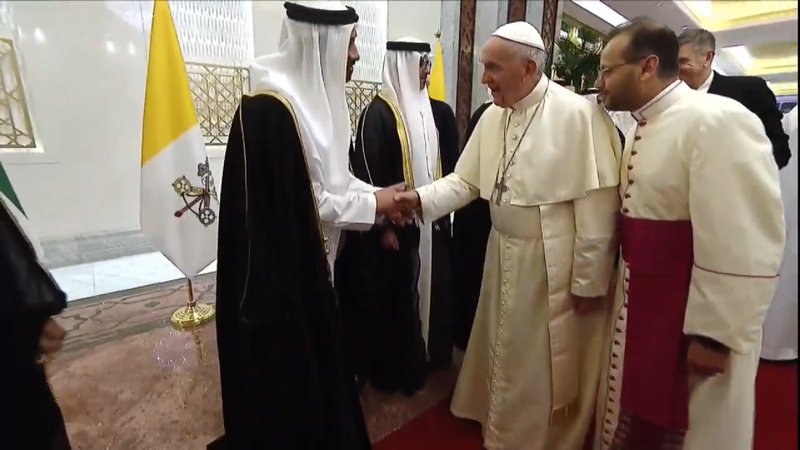 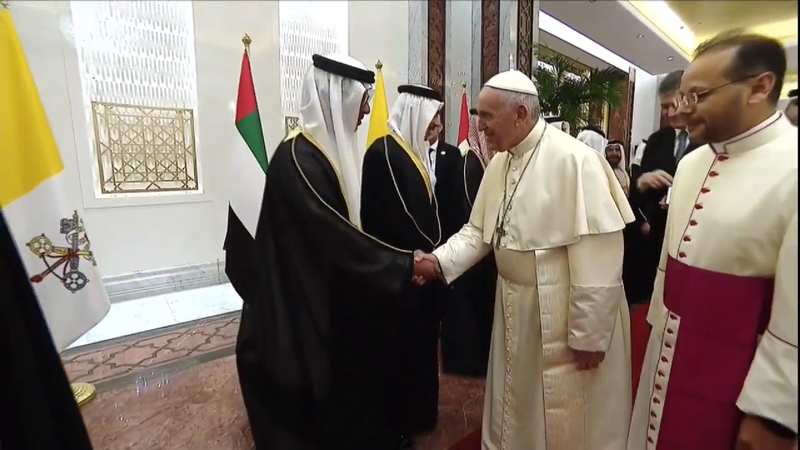 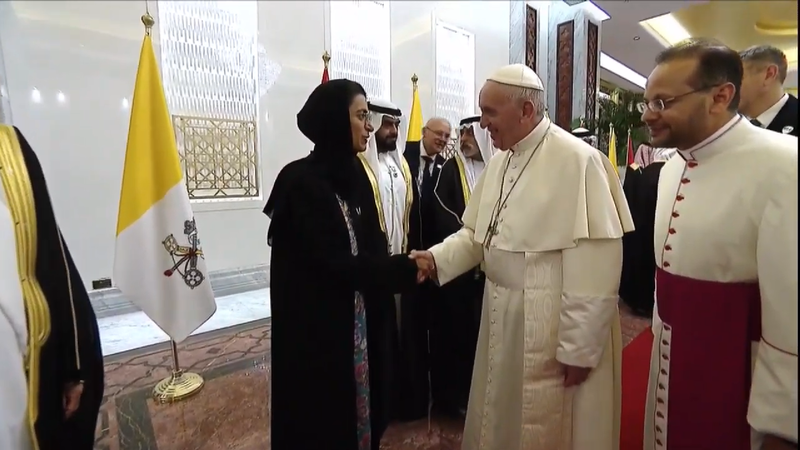 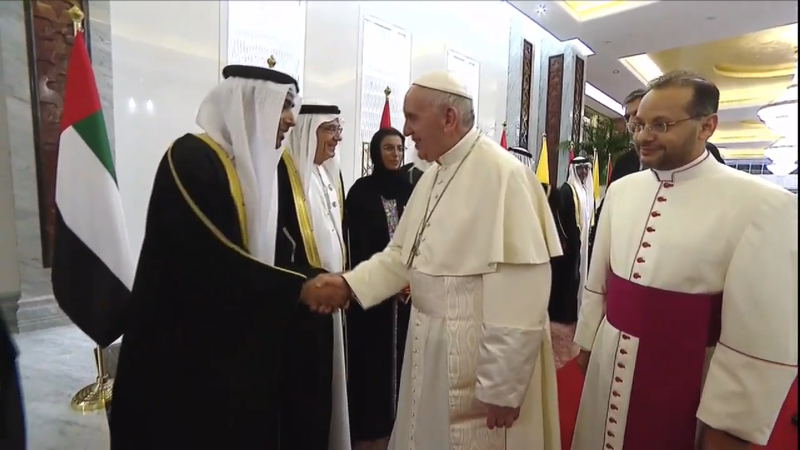 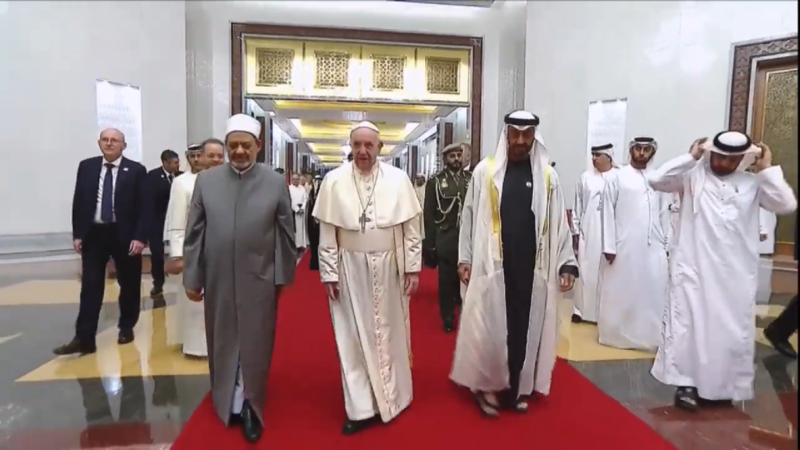 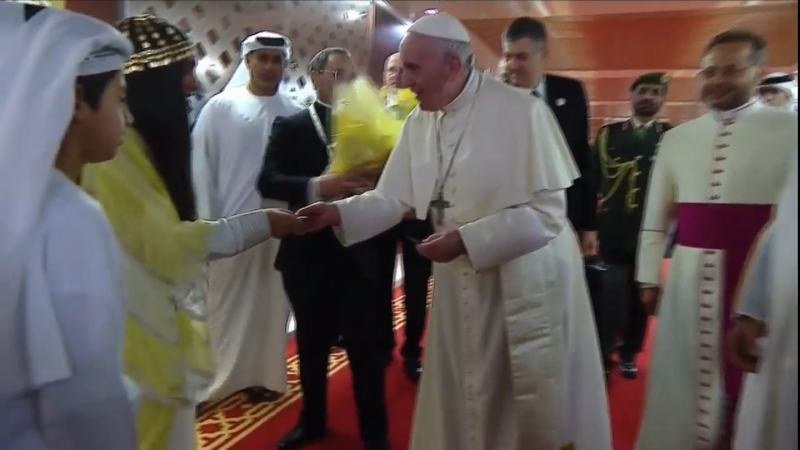 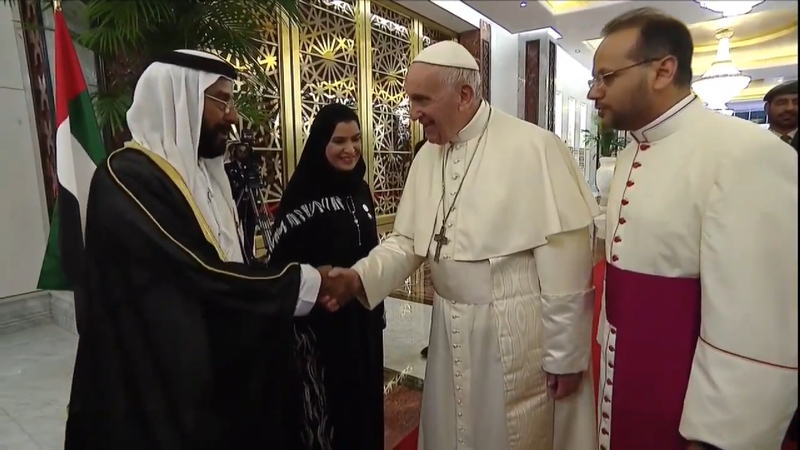 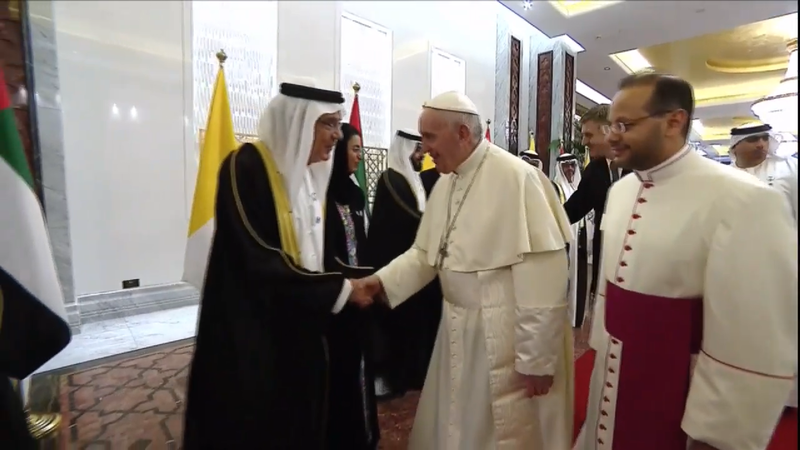 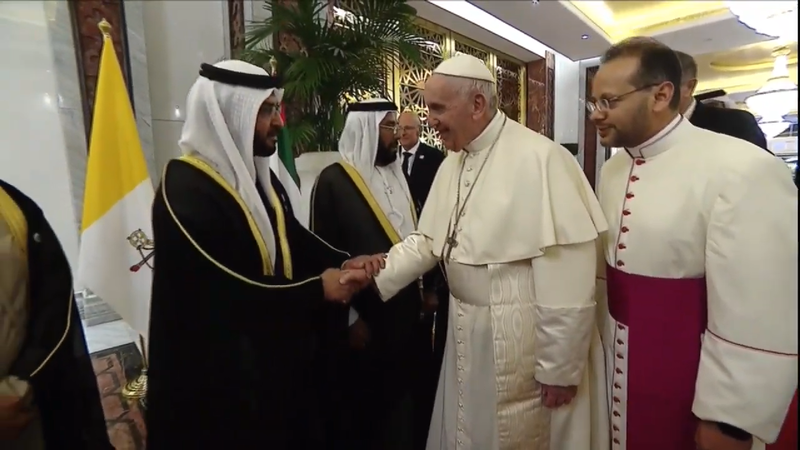 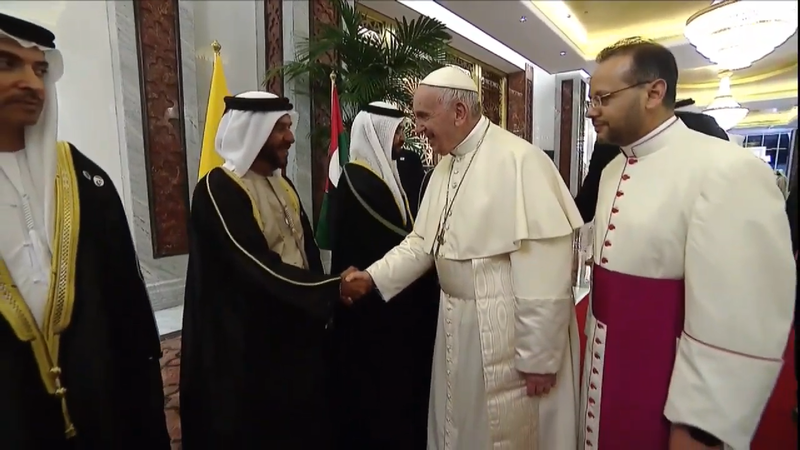 The Pontiff was also welcomed by the UAE’s Cabinet Ministers. 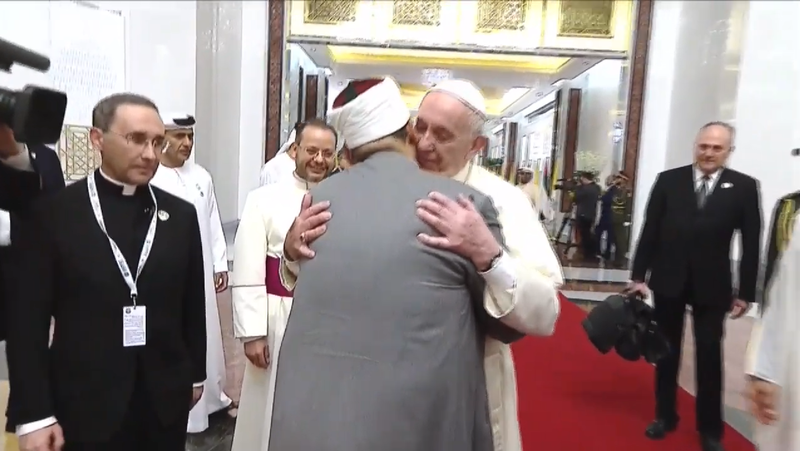 Pope Francis then greeted His Eminence Dr Ahmad At-Tayyeb, Grand Imam of Al Azhar Al Sharif with a warm hug symbolizing a beginning to a fruitful dialogue to travel paths of peace together with the UAE as the venue towards achieving harmony, unity and tolerance between religions. 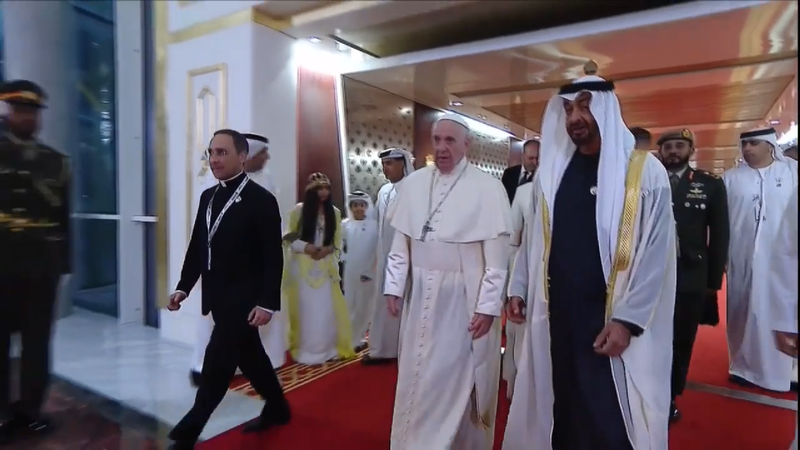 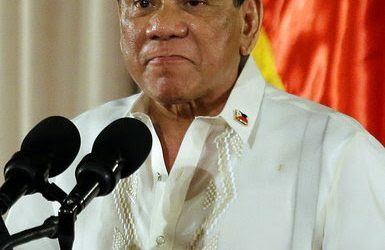 Following his arrival, the Pope’s next agenda will be to attend a Welcome Ceremony to be held at the main entrance of the Presidential Palace in Abu Dhabi around 12:00 PM. 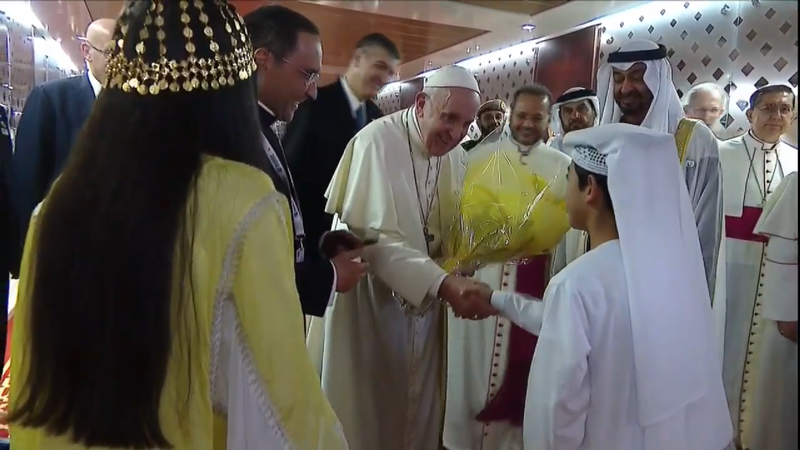 The Papal Visit marks 1st visit of a Pope to the MENA region. 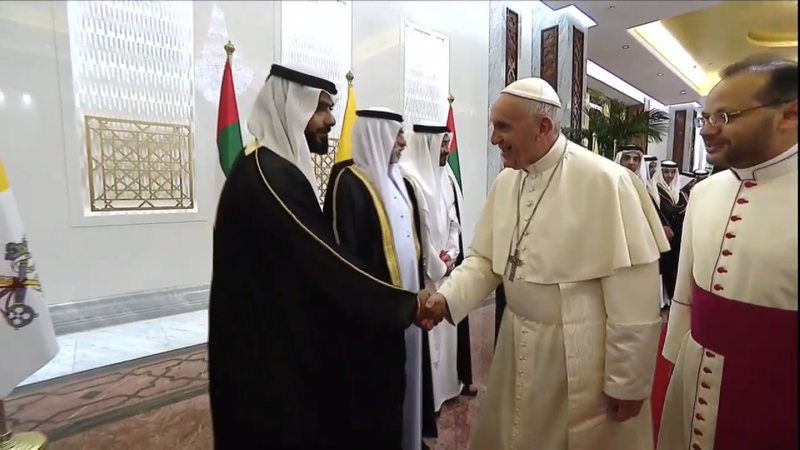 Themed ‘Make Me a Channel of Your Peace’, the visit is a positive response of the pontiff and the Vatican to the invitation of His Highness Sheikh Mohammed bin Zayed Al Nahyan, Crown Prince of Abu Dhabi and Deputy Supreme Commander of the Armed Forces of the UAE. 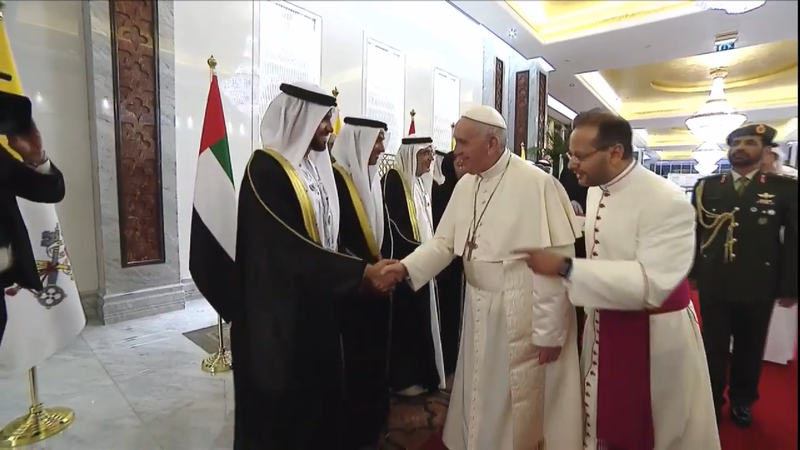 In line with the UAE’s ‘Year of Tolerance’ the visit is part of the celebrations of the ‘International Interfaith Meeting on Human Fraternity’.